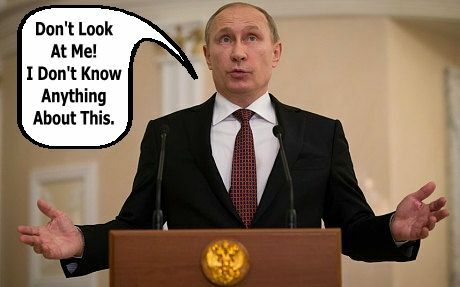 Even as the leaders of Ukraine, Russia, France and Germany wrangled over the terms of a ceasefire agreement in Minsk on Wednesday and Thursday, more weapons of war crossed into Ukraine from Russia, Ukrainian military sources say. 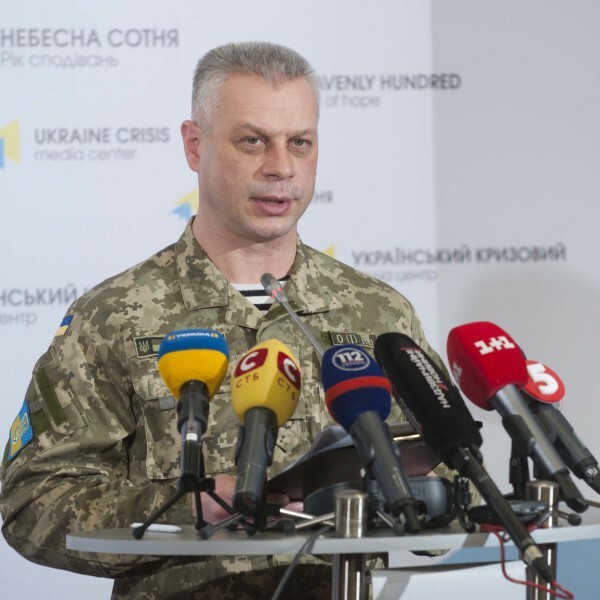 The spokesperson of the government’s Anti-Terrorist Operation headquarters, Andriy Lysenko, at a briefing in Kyiv on Thursday said a record amount of Russian military hardware was spotted crossing into Ukraine from Russia overnight. 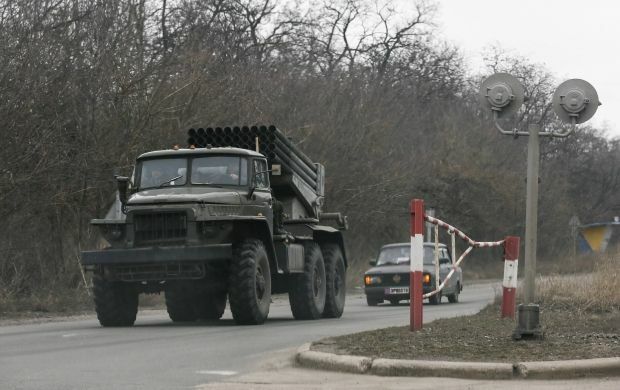 "Despite the statements of high-ranking officials of the Russian Federation regarding the absence of Russian military equipment and troops on the territory of Ukraine, on the night of February 12, the movement of 50 tanks, 40 Grad, Uragan and Tornado multiple rocket launcher systems and the same number of armored vehicles was observed crossing the Russian-Ukrainian border in the area of Izvarino," Lysenko said.